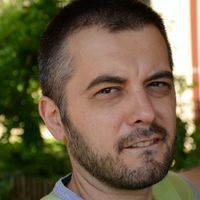 Liviu Andreescu (unibuc.academia.edu/LiviuAndreescu) is associate professor with the Faculty of Administration and Business at the University of Bucharest. Previously, he taught for more than a decade at the Spiru Haret University in the same city. He holds a PhD in political science (from SNSPA, snspa.ro) and an MA in American Studies. Over the better part of the past decade, he has also been working as an expert on higher education and research with the Executive Agency Funding Higher Education, Research, Development, and Innovation (UEFISCDI). In 2005-06 he was a Fulbright scholar at the Dawson Institute of Church-State Studies at Baylor University (TX). Andreescu has published widely on church-state relations, higher education and research policy, and futures studies, sometimes at the intersection of these fields. He wrote on religious education, the construction of Orthodox places of worship, academic theology, and the religious freedom jurisprudence of the European Court of Human Rights. His work on higher education and research focuses on a broad range of issues, from differentiation to academic freedom to quality assurance. In futures studies, he co-published articles on both practice (foresight exercises) and methodology (Delphi, scenario building). Currently, Andreescu is member of the core team of an ERC-funded project on social mobilizations around the religious freedom jurisprudence of the ECtHR (www.grassrootsmobilise.eu); and director of a nationally funded project on student organizations (neostud.net). With the Institutul de Prospectiva (www.prospectiva.ro), which he co-founded, he participates in a Horizon 2020 project on future European research agendas (cimulact.eu).